Sometimes the cloth is so badly soiled that using only Sprayhood & Tent Shampoo is not enough. Deeply penetrated soiling of tent cloth. Small black spots in tent cloth or on a boat cover. Spots made by spiders, gnats or flies. 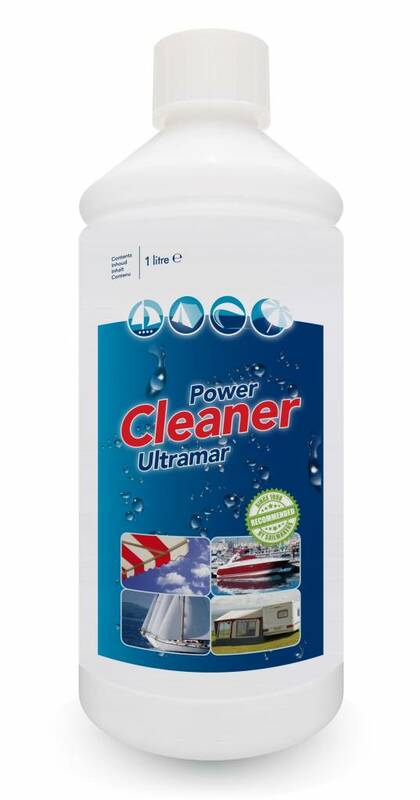 Ultramar Power Cleaner is a very powerful cleaning product for removing heavy soiling from a boat cover, tent or awning. Always clean first with water and Sprayhood & Tent Shampoo. Cleans even badly soiled tent cloth. 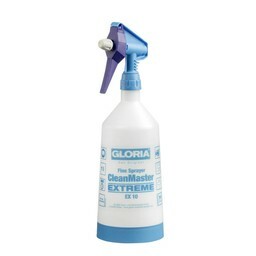 For cleaning badly soiled boat covers, tents and awnings. Use as additional treatment after Sprayhood & Tent Shampoo. 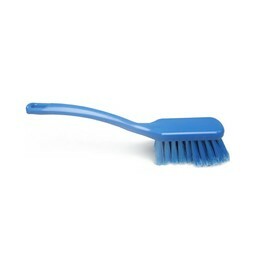 Ultramar Power Cleaner can be left on for a long time. Do not use on Kevlar or nylon. Always test in an inconspicuous spot first. Can be used safely. Read the instructions on the packaging before use. Apply Ultramar Power Cleaner on dry fabric and rub it in using a soft brush. Leave for about 1 hour. If there is no change, spray on some extra Power Cleaner and rub in again with a brush and leave it for a while. Repeat until the stains are gone. This may take a couple of hours. Then rinse with a brush and ample water. Use Ultramar Sprayhood & Tent Protector to waterproof and protect the cloth.